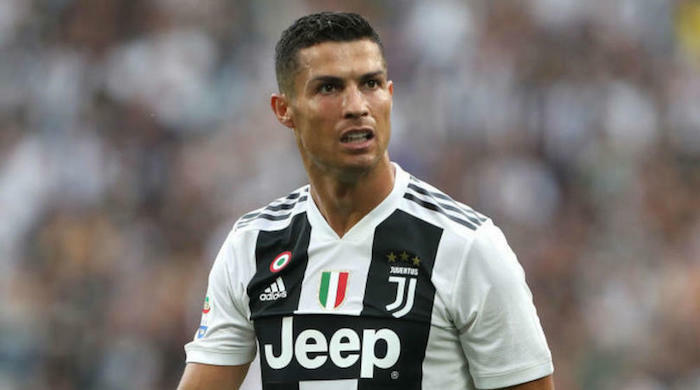 Cristiano Ronaldo has revealed a negative change of atmosphere motivated his transfer from Real Madrid to Juventus, including his relationship with club president Florentino Perez. Ronaldo joined Juventus after scoring 44 goals for Real Madrid last season, leaving as the club’s leading all-time goal scorer. While the club asserted the transfer was initiated at his request, the Portuguese forward suggests it was prompted by the club’s lack of desire to keep him. ‘I felt it inside the club, especially from the president, that they no longer considered me the same way they did at the start,’ he said in an interview with France Football. ‘In the first four or five years there, I had the feeling of being ‘Cristiano Ronaldo’. Less afterwards. The president looked at me through eyes that didn’t want to say the same thing, as if I was no longer indispensable to them. ‘That’s what made me think about leaving. Sometimes I’d look at the news, where they were saying I was asking to leave. There was a bit of that but the truth is I always had the impression the president would not hold me back,’ he added. The 33-year-old’s claims are contrary to reports over money and Zinedine Zidane’s resignation as coach being the primary motivation. ‘My decision to leave was not based on his (Zidane’s) departure. That being the case, it’s one of those little things that made me feel a bit better in terms of what I thought of the situation at the club,’ Ronaldo said. ‘If it had all been about money, I’d have moved to China, where I would have earned five times as much than at Juventus or Real Madrid. ‘I did not come to Juve for the money. I earned the same in Madrid, if not more. The difference is that, at Juve, they really wanted me. They told me that and made it clear,’ he concluded.